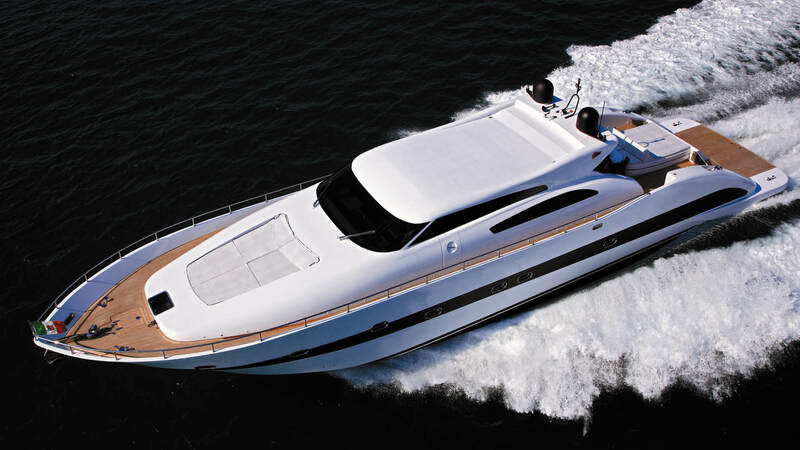 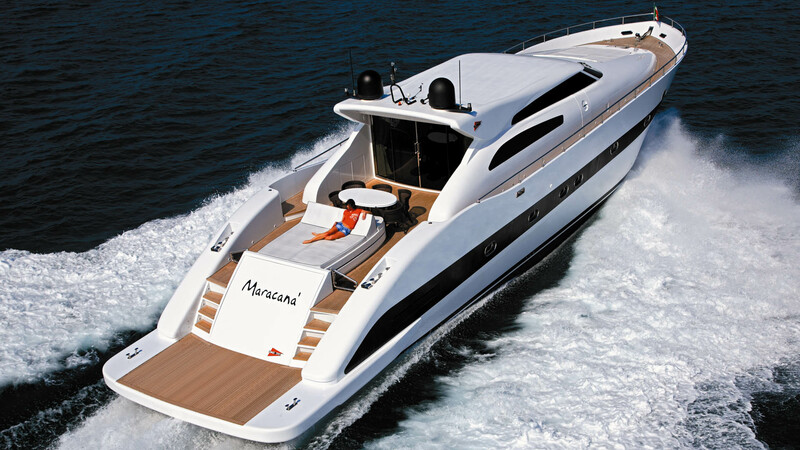 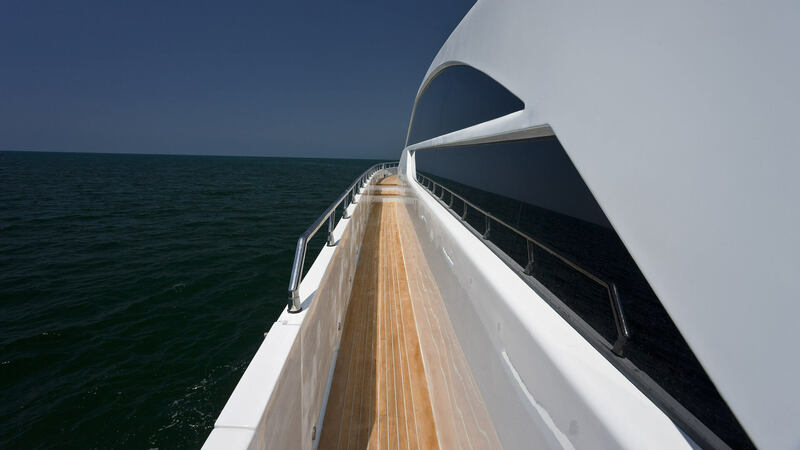 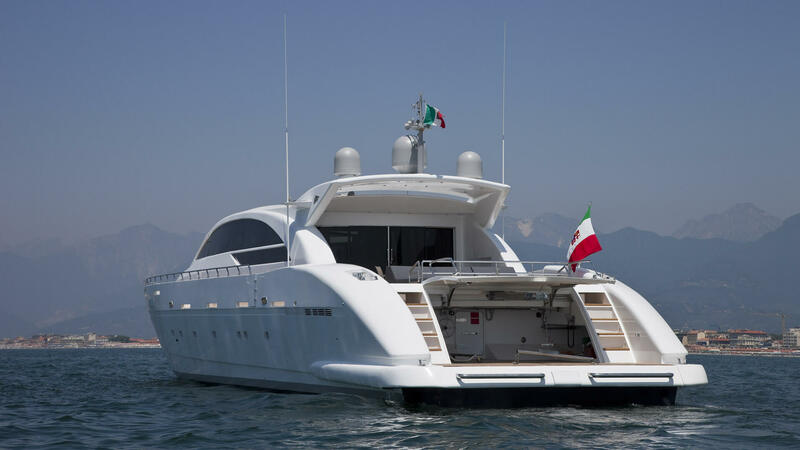 27 meters in length, a parade and sports, Maracana is an elegant luxury yacht can accommodate eight people. 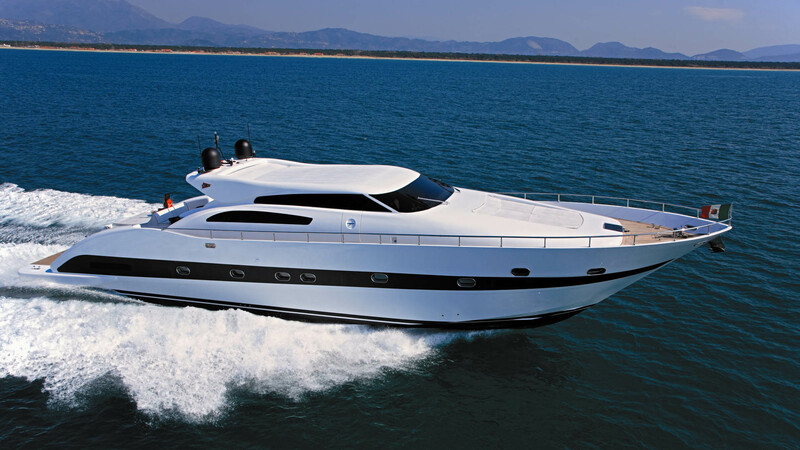 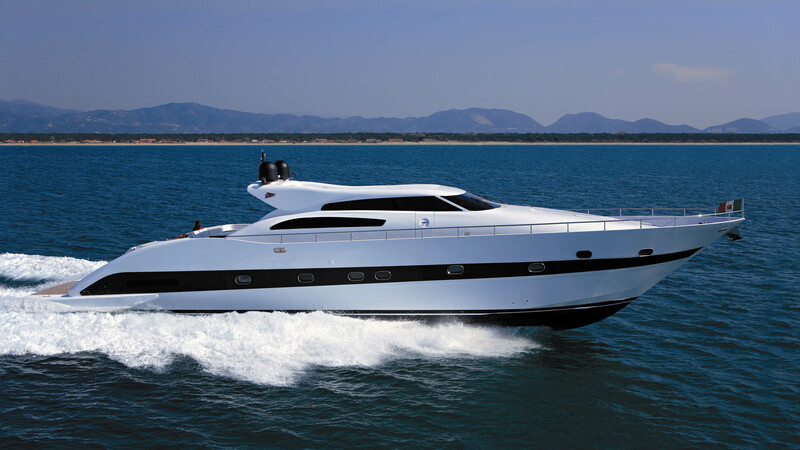 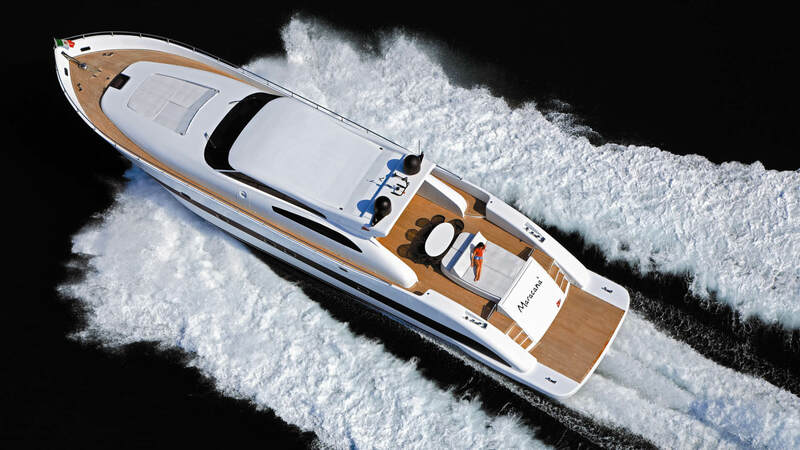 With two powerful motors 1670 HP CAT can travel at a cruising speed of 25 knots and a maximum speed of 30. 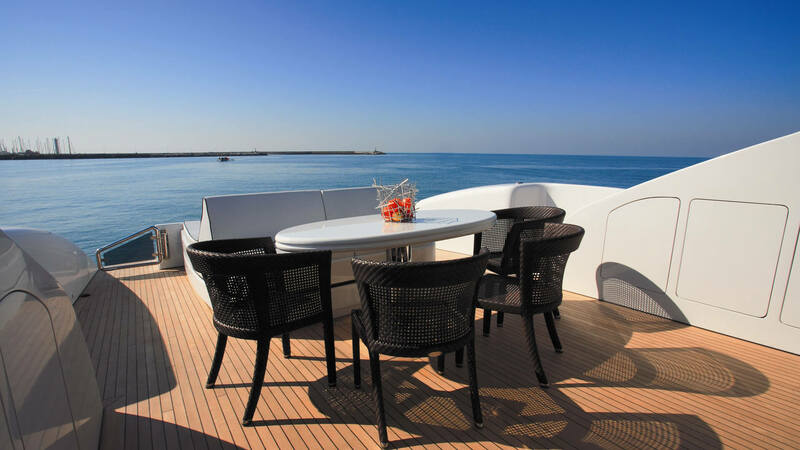 The outdoor areas dedicated to conviviality boast aft a wide area for al fresco dining with sofas and chairs, an extensible platform for diving and double sunpads forward. 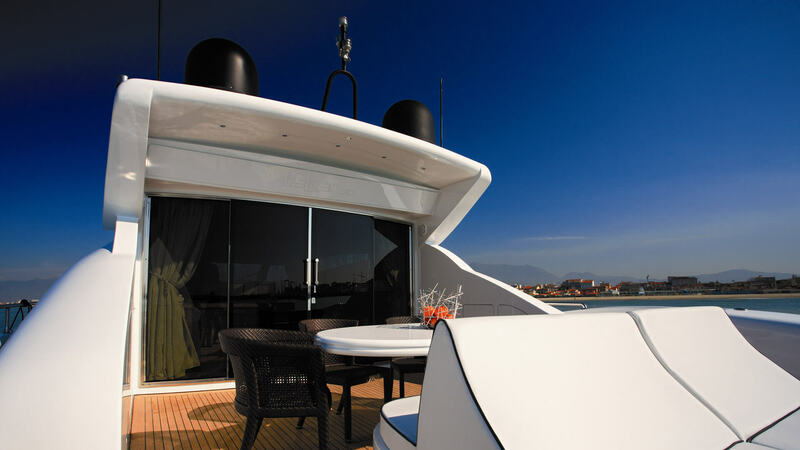 The refined interior design presents a harmonious mix of African and European style. 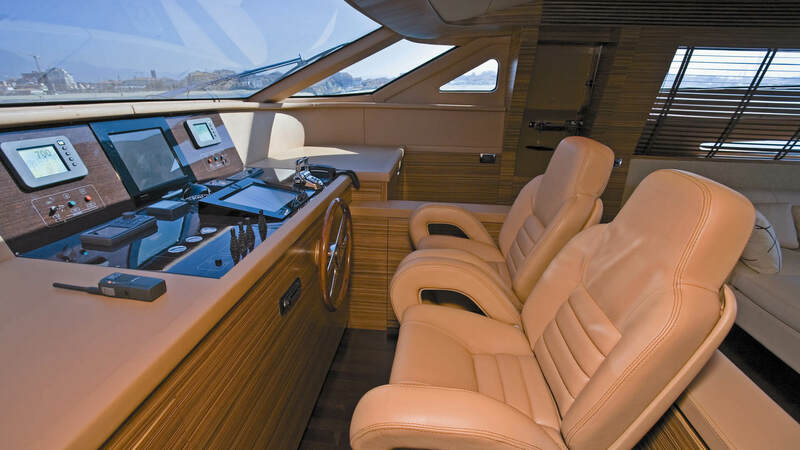 The main saloon, with dark wood floors, warm colours and furniture has honey-colored panels and a large and comfortable leather sofa with chaise. 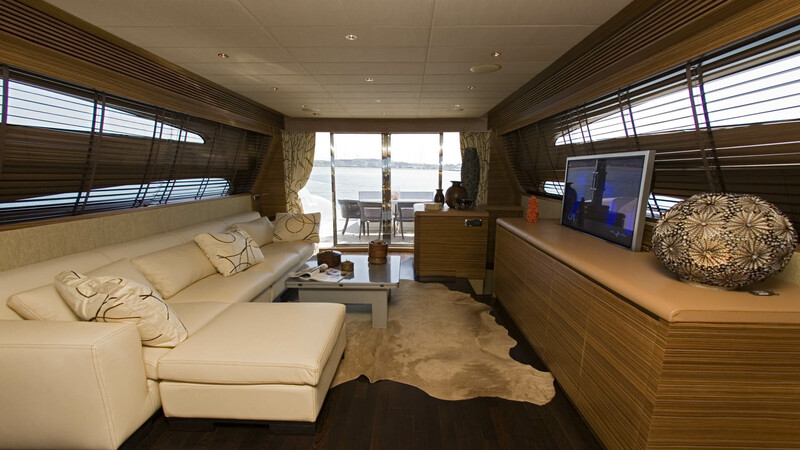 Complete the furnishings a low table opened and a modern audio-video system. 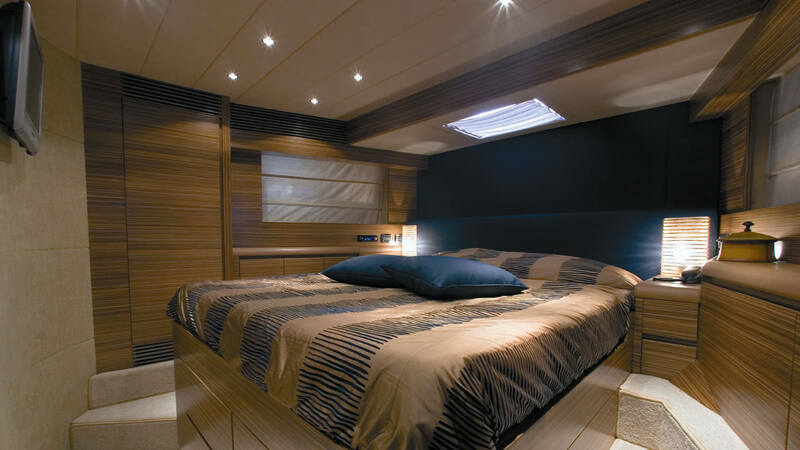 The sleeping area features a full beam master cabin with king size bed centrally, and four guest cabins (two twin and two double) each with a unique style with wood paneling, cream carpet and precious fabrics.